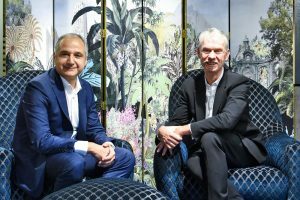 Award-winning luxury resort The Datai Langkawi is given a refresh by French interior designer Didier Lefort 25 years after he designed the nature-guided environment with architect Kerry Hill. 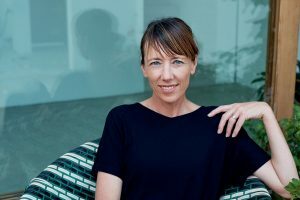 The late Kerry Hill, who passed in August 2018 from cancer, left behind an illustrious legacy. The works of the Australian architect are soulful, textural and strongly rooted in context and culture. 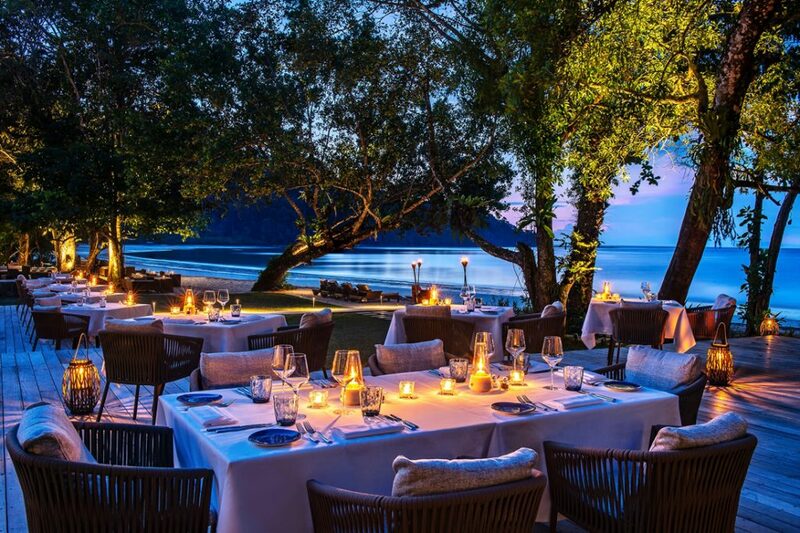 In 1993 (with Akitek Jururancang Sdn Bhd), he designed The Datai on the north-west tip of Langkawi in Malaysia. 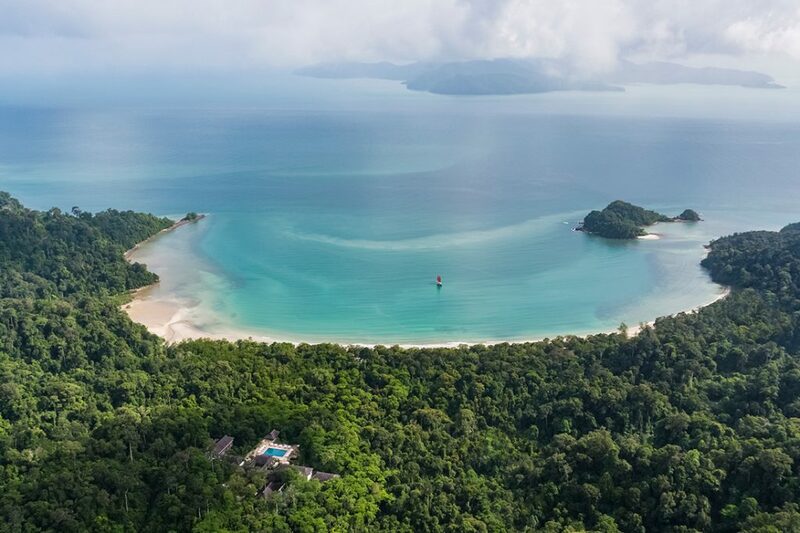 Rather than simply planting villas along the beach, he decided to take the more challenging route of nestling the main resort deeper – 40-metres higher and 300-metres further from the sea within a 10-million-year-old rainforest. Hill collaborated with French designer Didier Lefort of D.L.2.A who worked on the interiors. 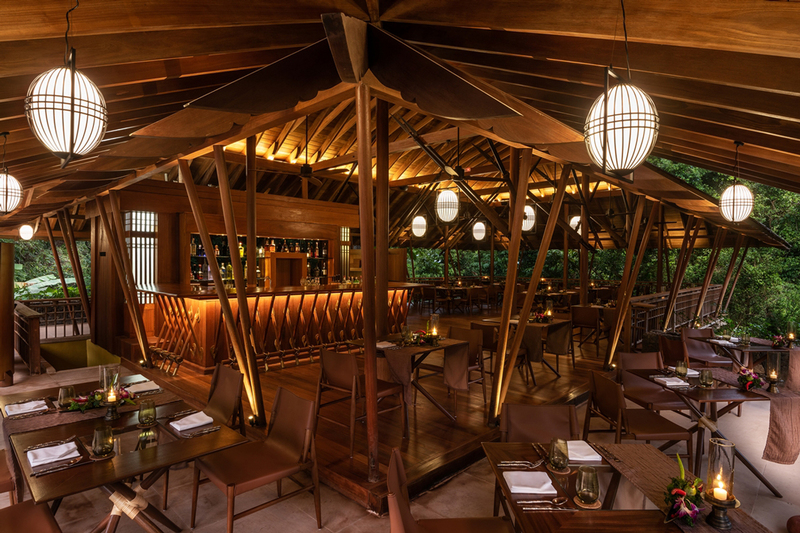 This partnership resulted in a bespoke resort with strong nuances of the vernacular in a clean vein that is highly sensitive to its environment. It won them the Aga Khan Award in 2001. 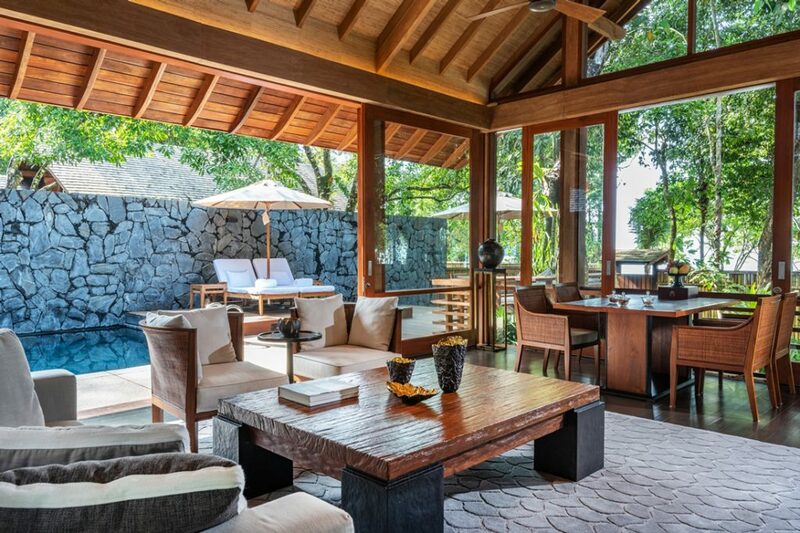 The sprawling estate, winding its way through treetop, mangrove and sand, offers diverse encounters. 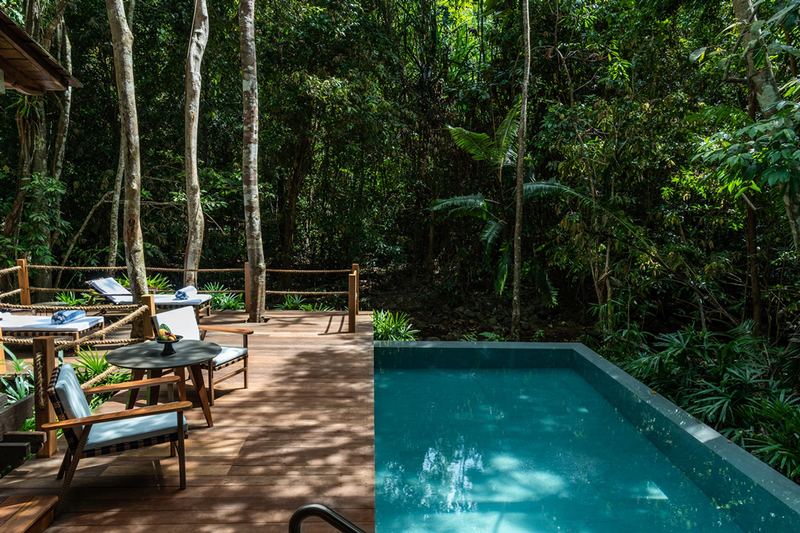 Guests can stay in rainforest villas among birds and monkeys in their natural habitat or traverse further out into beach villas for dramatic views of sunset and the Datai Bay. 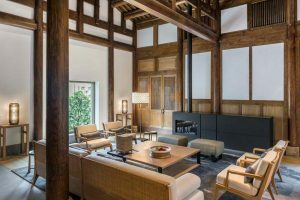 A year ago, Lefort returned to update the premises, restoring the resort to its original pristine condition as well as adding new elements. The US$60-million process finished in January this year. 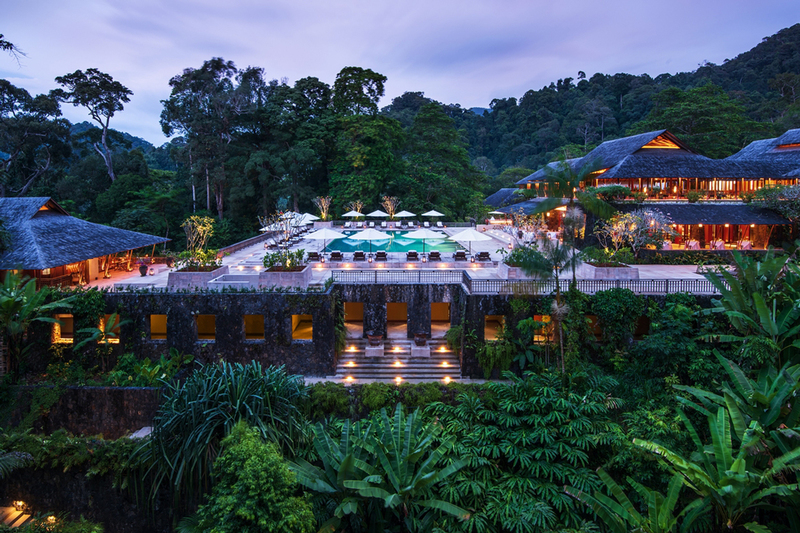 “[We aimed] to extend and rehabilitate the existing hotel without changing the original DNA that made The Datai reputable – a tropical retreat integrated [with] nature, with a modern interpretation of the Malaysian culture (melding Malay, Chinese and Indian influences) and usage of local, natural materials,” says Lefort. 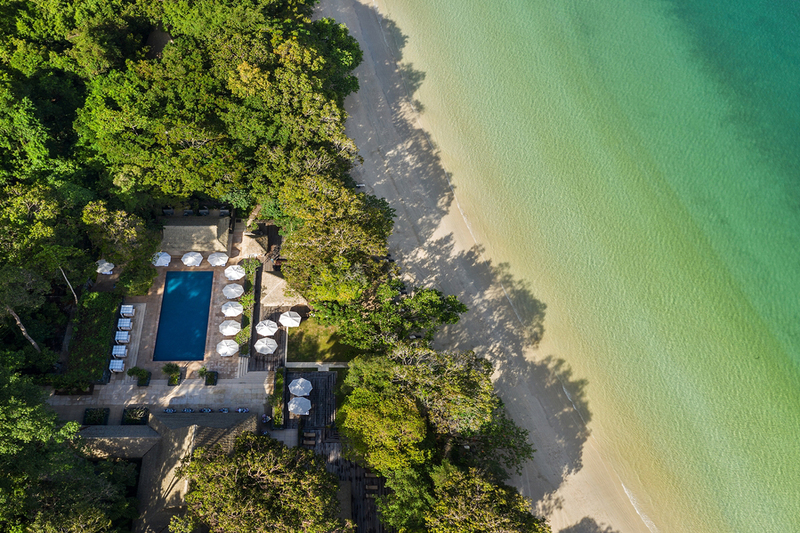 The Beach Club was expanded with large terraces, a larger pool and new amenities that include a new fitness centre overlooking the sea. 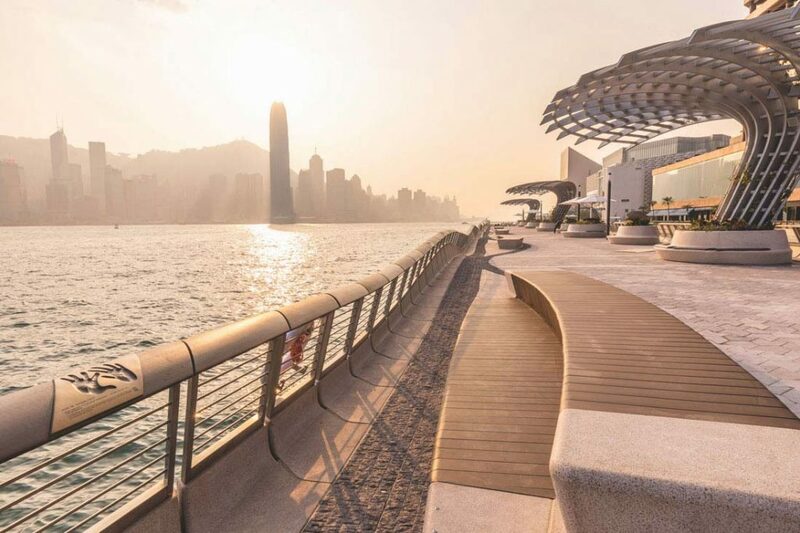 The spa was also enlarged, featuring outdoor treatment spaces and a reception wall with a poetic stone bas-relief of sea crabs that Lefort – a keen nature lover – witnessed during low tide at the beach nearby. “The hotel now has two definite areas of action. 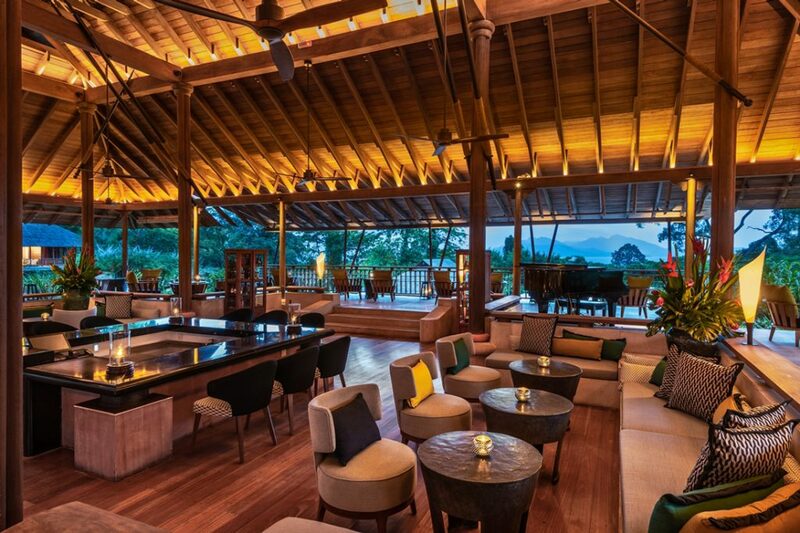 The upper part with the main building surrounded by jungle is for relaxation and F&B, and the beach side is oriented toward sport, leisure and nature activities. 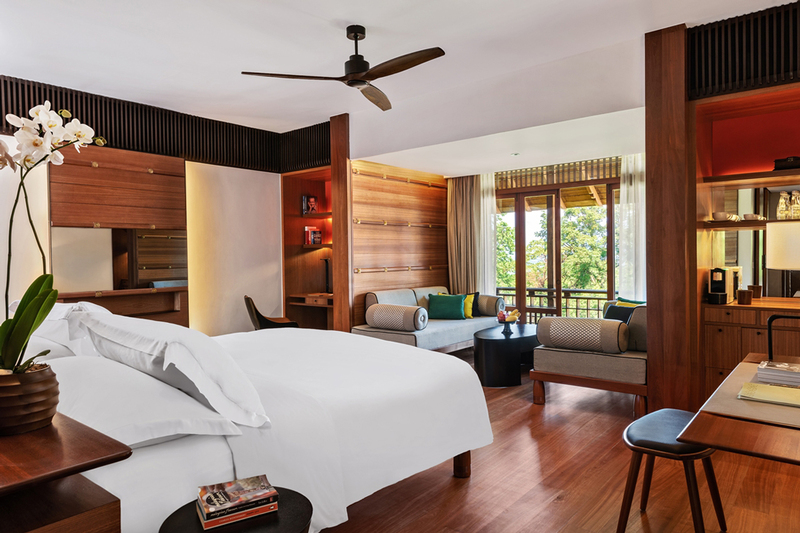 In between, all guest areas have been refurbished for [increased] comfort and cosiness,” describes Lefort. 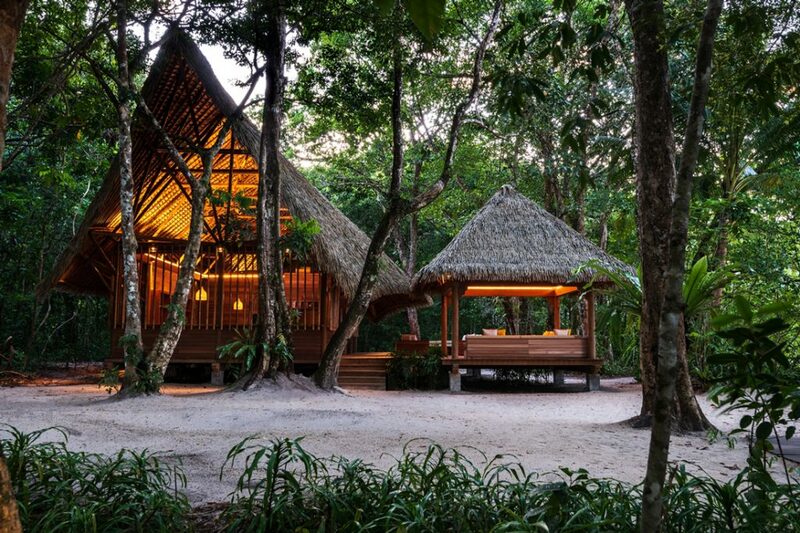 A new naturally ventilated Nature Centre – thatched roof, terraces, timber and bamboo construction, and an elevated base – takes a page from the traditional long house. 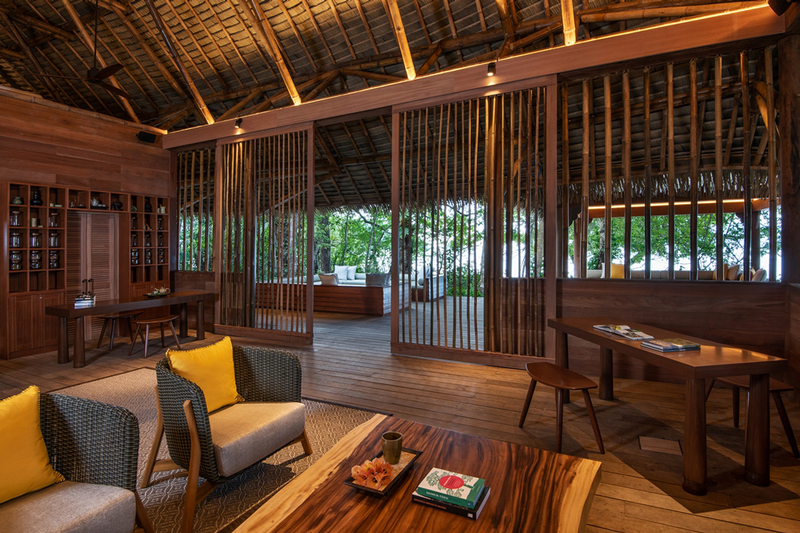 It incorporates a library that offers a bookish complement to the educational nature trails the hotel offers. 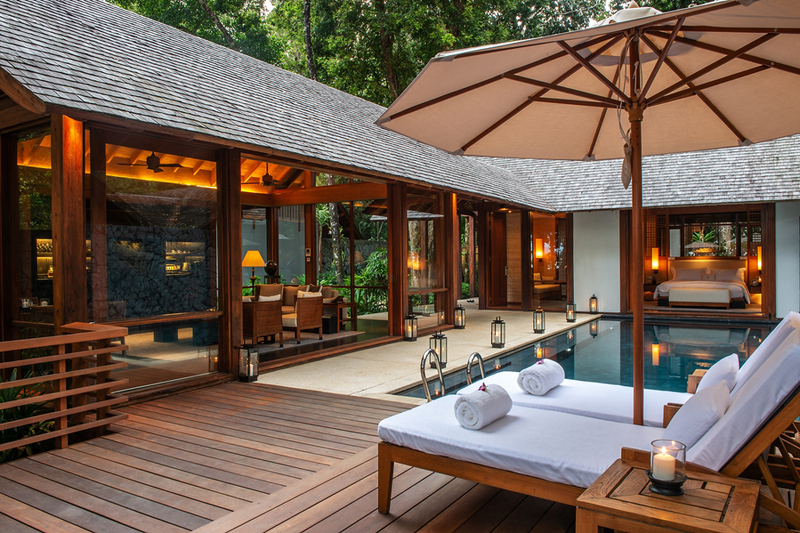 Of note is the 3,500-square-metre spacious new Datai Estate Villa, which can be used as a single villa or split into two- and three-bedroom villas. The pool was extended and can be split into two for flexibility. 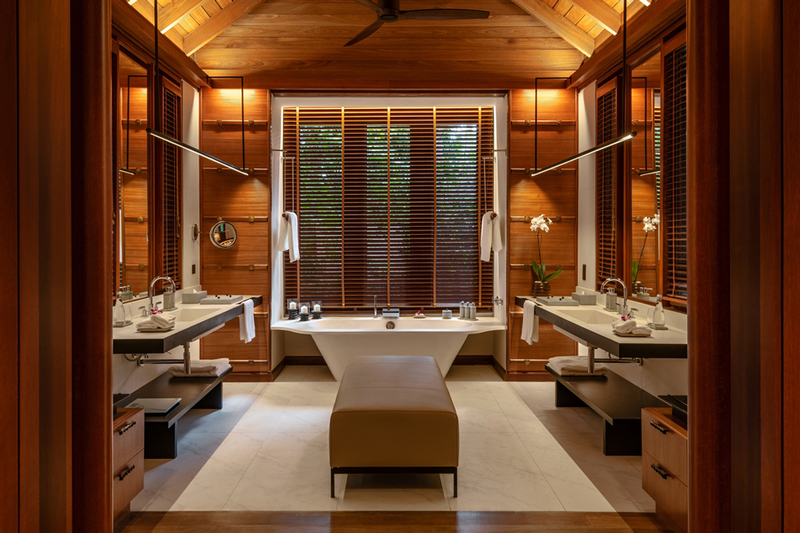 The pitched roof timber structure, timber flooring, timber panelling and facades have been retained but layouts and bathrooms have been reworked and updated with new colour harmonies, furniture, lighting and decorative artefacts. 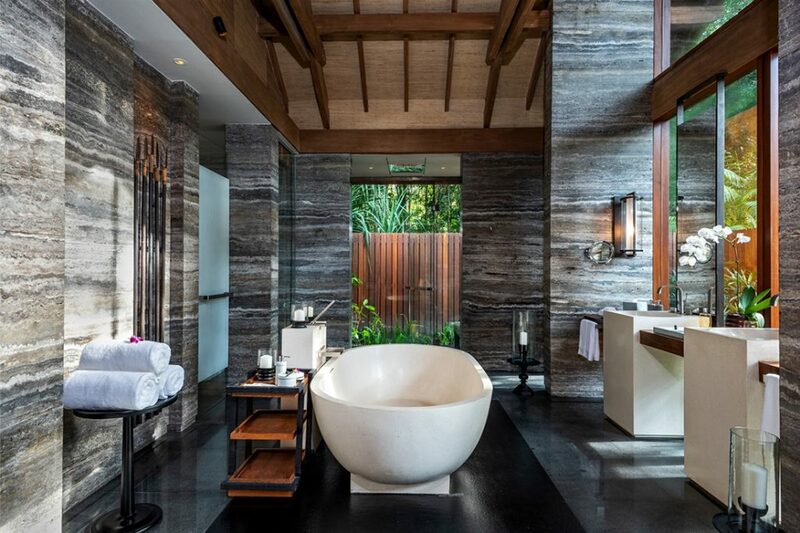 With marble quarries in Langkawi closed, bathrooms now feature ceramic tiles for surfaces and composite marble for the bespoke bathtubs and washbasins. The refurbishment also sees new lighting technology applied. 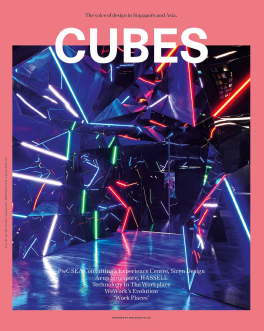 “New LED light technology has allowed us to totally revise the lighting concept [to consider] atmosphere and power consumption. 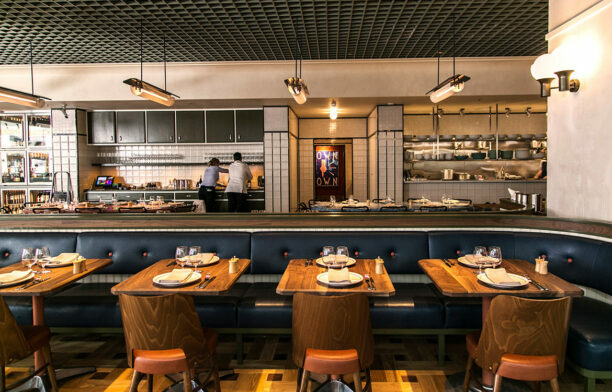 Mini spots, LED strips, new design torch lamps, focus lights and diffused lamp shades are now part of the lighting animation that always [places priority on creating a relaxed] ambience,” says Lefort. 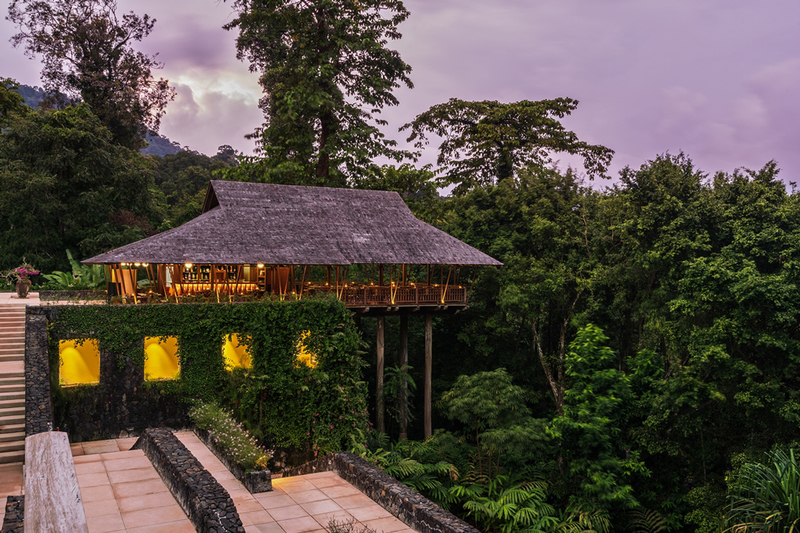 Also improved is the external illumination, which magnifies the majesty and mystery of the trees and sub-forest vegetation that so defines the experience at The Datai. 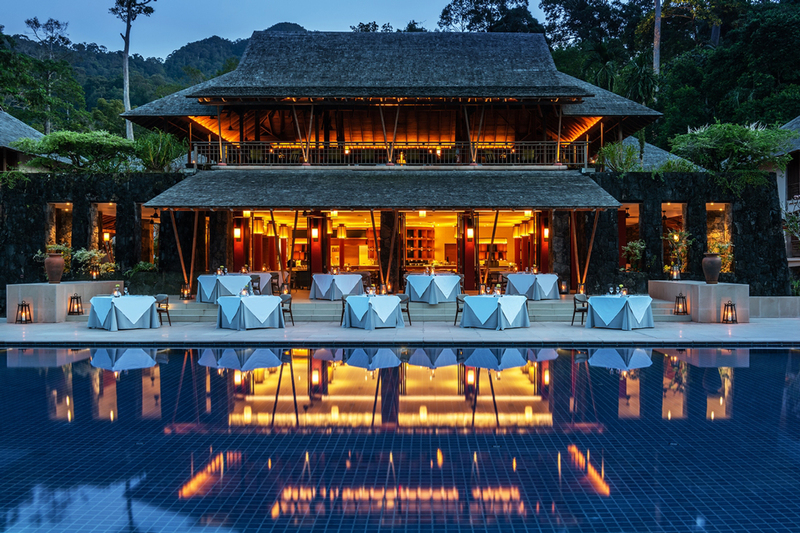 Images courtesy of The Datai, Langkawi and DL2A.